What can I expect from this- I'm not the fittest of people! I'm a bit nervous about it! What job have you gone in for? 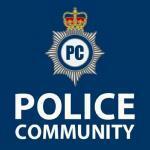 Special Constable or Police officer. If it's either then you need to reach 5.4 on a bleep test which is running approx 525 metres which is 3 minutes and 34 seconds as the pace gets faster between two points on a 15m track. There is also a Push, Pull test which is required by only certain forces where you have to Pull 35kg and Push 34kg and a specially crafted machine. I would suggest that if you are not the fittest of people then you start training now. Any cardiovascular exercise is good to improve your times for the bleep test. Cycling, running and swimming are excellent ways in which you can improve your general fitness. Try running a set distance and timing yourself, set yourself targets to reduce your times with each attempt. Competitive sports such as football, rugby, tennis or squash could also benefit your endurance test times. I would also recommend that you go to your local field and set up a 15 metre track and practice the beep test. Most phone app stores will have a variant that you can download and use.